Today I posted a photo on the DishingwithDiane Instagram page and received an overwhelming number of emails for the recipe. 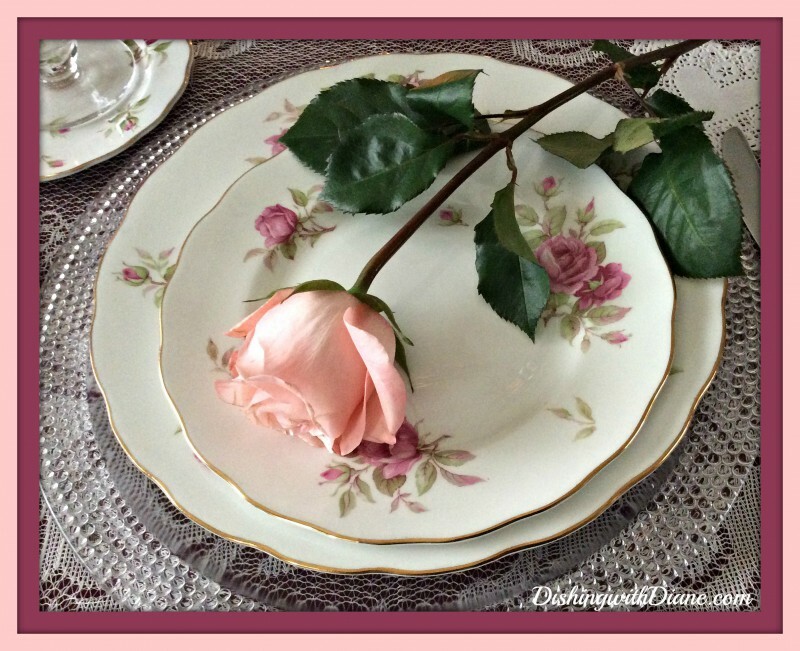 The Instagram posts can be seen here on the blog in the right hand column. Included with the blog photos, I also include some personal pics (mostly food) on the Instagram page, to use as a reference for future recipes that I will feature on the blog. The scallop photo was a photo from last night’s dinner. I was quite surprised to get such a response. I decided to make scallops for dinner last night because I have been wanting to try Ina Garten’s recipe from Foodnetwork for Scallops Provencal. 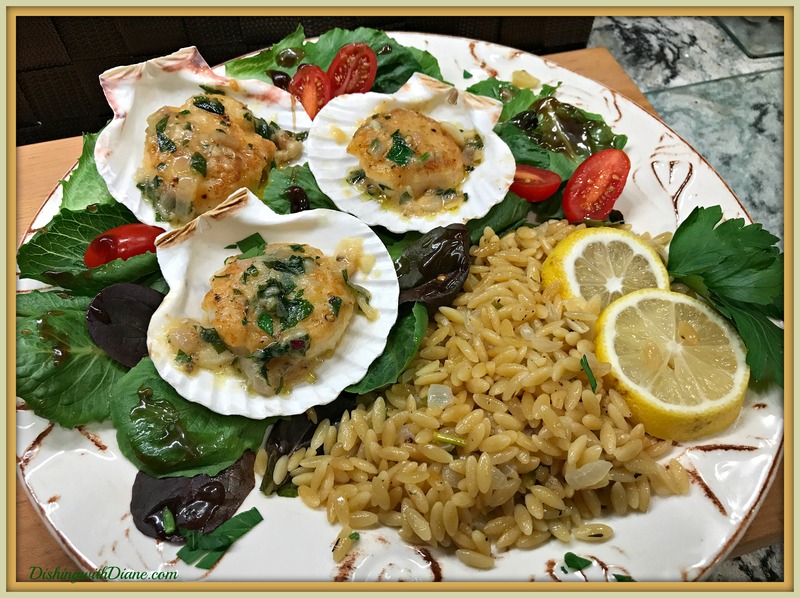 I recently purchased scallop shells from Sur La Table just for this recipe. So after a morning full of email requests; I am sharing the recipe with all of you. It was delicious, quick and extremely easy. Just make sure to have all of your ingredients ready. I made this dish along with Lemon Orzo and I will include that recipe as well. Cooks Note: I kept the sea scallops whole. Melt the rest of the butter in the pan with the scallops, then add the shallots, garlic, and parsley and saute for 2 more minutes, tossing the seasonings with the scallops. Add the wine, cook for 1 minute, and taste for seasoning. Serve hot with a squeeze of lemon juice. Coat pan with cooking spray. Cooks Note: I used 2 tbsp butter. Add onion to pan; sauté 3 minutes. Stir in pasta, broth, wine, and thyme; bring to a boil. Cover, reduce heat, and simmer 15 minutes or until liquid is absorbed and pasta is al dente. Stir in chopped chives and lemon juice. Keep warm. This entry was posted in Rice, Seafood, Side Dishes on August 23, 2017 by aries041158. You’re very welcome. This is such an easy meal- enjoy!